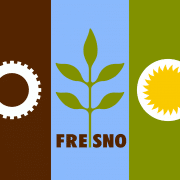 The City of Fresno is situated in the heart of California’s agricultural powerhouse the San Joaquin Valley, and is often viewed as the economic capital of the area. Despite its importance and continual growth, the state’s fifth largest city struggles with some of the worst air pollution in the country. To address this issue, the city is taking a look at its transportation sector. 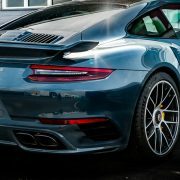 A significant amount of the San Joaquin Valley’s main sources of air pollution, including Volatile Organic Compounds (VOCs), and Nitrogen Oxides (NOx), can be attributed to emissions from passenger vehicles. Promoting the benefits of electric vehicles, in conjunction with renewable energy, is a viable way that the city can reduce air pollutants. 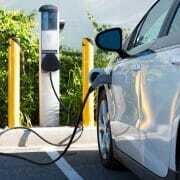 Fresno hopes to encourage the use of electric vehicles (EVs) by expanding charging stations throughout the city, with the goal of making them as ubiquitous as gas stations. 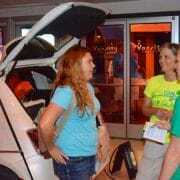 In the past year, the city has unveiled multiple EV charging stations in different location. 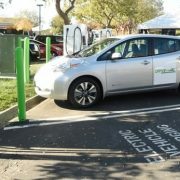 In 2015, the city approved charging stations from NRG Energy’s eVgo program to be placed at two popular shopping areas: three for customers at the Fig Garden Village, a popular shopping plaza that houses a Whole Foods Market, and three for public use at Fashion Fair Mall. Payment for charging at these locations is made through the eVgo’s payment program via an app. Also during this time, the Fresno Area Hispanic Foundation, in alliance with the San Joaquin Valley Electric Vehicle Partnership and NRG eVGo, installed four charging stations in the downtown area through grant funding. In the summer of 2015, California State University, Fresno announced the installation of six charging stations on campus for use by students, staff, and the public. The stations are situated in a parking with solar panels that produce 20% of energy for the college. Obtained through grant funding from the California Energy Commission, charging costs at the campus stations is at a reasonable $1 per hour flat rate. 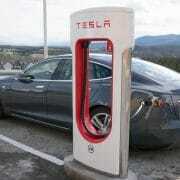 In January of 2016, electric car maker Tesla unveiled ten Supercharging stations along Highway 99 in Northwest Fresno. 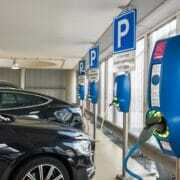 Located at the El Paseo shopping center, the Supercharging stations are the first of their kind in the area, and incentivize travelers to stop in Fresno and charge their vehicles. Looking ahead, the potential for growth is promising. 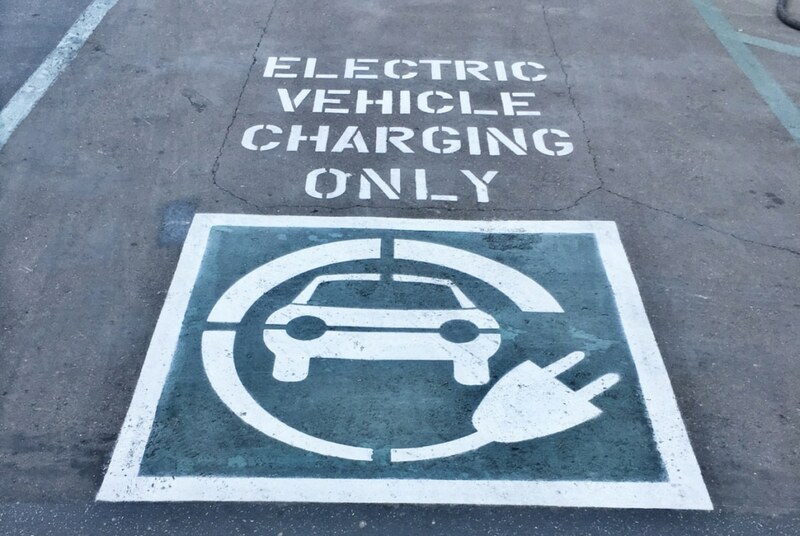 On June 9, 2015, State Treasurer John Chiang announced the Electric Vehicle Charging Station Financing Program, which provides incentives to businesses and landlords who install EV charging stations for their employees, customers, and tenants. Participants will receive a rebate of up to 15%. More information on the program can be found here. 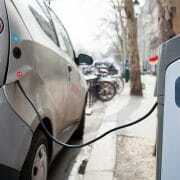 Time will tell if the recent expansion of charging stations will spur demand for electric vehicles in the area. Fresno’s investment in electric transportation shows its commitment to reducing greenhouse gases and air pollution, and positions the city as a leader to transition away from fossil fuel programs and towards alternative, green energy. Such a shift in fuel demand would provide the perfect opportunity to revive a serious discussion about Community Choice Energy for the area. Community Choice is an energy model tha gives local agencies control over the sourcing and pricing of their electricity. Programs currently exist in Marin and Sonoma Counties, and the cities of Lancaster and San Francisco. These communities are saving homeowners and businesses millions of dollars, generating local jobs, keeping money in their communities, and significantly reducing greenhouse gases. It’s time for Fresno to take another close look at the benefits of Community Choice.